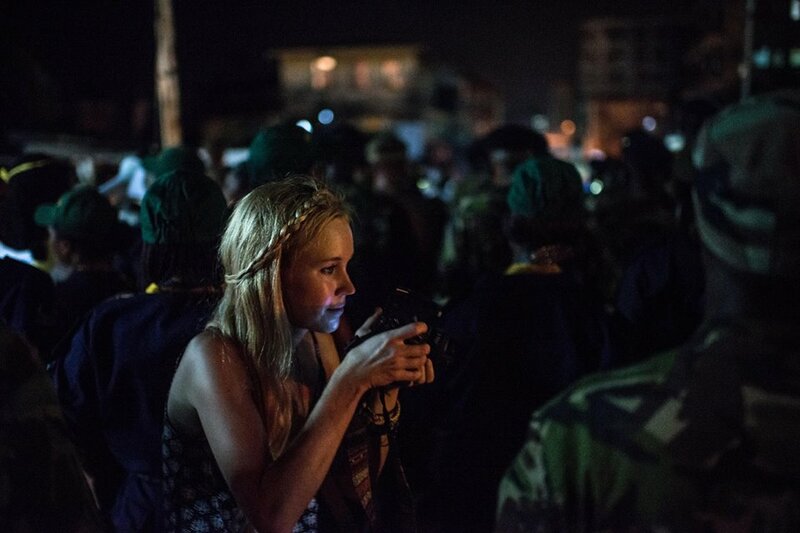 ​Aurélie Marrier d'Unienville is a freelance photojournalist and communications consultant. Her recent projects include the Rohingya refugee crisis in Bangladesh, drought in East and Southern Africa, the aftermath of the war against ISIS in Iraq, the Ebola crisis in West Africa, and flooding in South East Asia for a range of clients including the BBC, Le Monde, The Guardian, The Washington Post, Al Jazeera, The Associated Press, Newsweek Magazine, Stern Magazine, VICE, NPR, Forbes Africa, Buzzfeed, Geographical Magazine and IRIN. Aurélie has managed communications and multimedia needs for clients such as the International Federation of the Red Cross and Red Crescent Society (IFRC), OXFAM, The International Rescue Committee (IRC), Comic Relief, the CDC Group, Sightsavers, Caritas, The Queen Elizabeth Diamond Jubilee Trust, Africa Governance Initiative and Christian Aid. She was nominated as a finalist for the 2016 Aidex Humanitarian & Development Photojournalism awards and received honorable mention in the 2015 OSIWA ETTL photography competition. Aurélie is available for communications consultancy work, photography, multimedia and case study research. She is available for international assignments and speaks English, French and has a good working knowledge of Sierra Leonean Krio. She has been certified by Clarity UK in Disaster Security Training and the IFRC in Personal Safety Training.